Did you know that Texas has an updated law addressing alcohol poisoning? If not, you aren’t alone. Under the amendment, a person under 21 cannot be charged by the police for possessing or consuming alcohol if the person calls 911 because someone else might have alcohol poisoning. According to the state approved defensive driving course, DefensiveDriving.com, “Once you’ve had a drink, there is only one thing that will remove the alcohol from your system: time.” Binge drinking, having several consecutive alcoholic beverages within two hours, has gained national attention especially when it comes to college students. College students tend to fall in the under 21 age range. 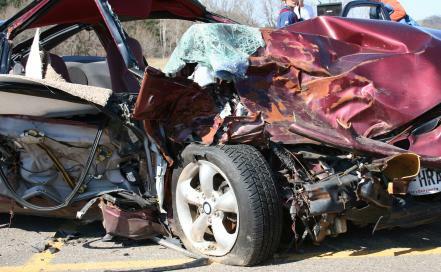 A potential deadly action that is commonly done after binge drinking is unfortunately: driving. It is a serious crime if any person gets hurt or killed because you were driving under the influence of alcohol or drugs. You will be punished with fines, jail, and license suspension or revocation. You could also face a civil lawsuit that could result in a financial and emotional disaster for you. Online driver safety courses such as DefensiveDriving.com has focused on such cases as in the Vanessa Montague. Vanessa Montague lost her daughter due to underage drinking, a daughter that could still be alive if someone would have picked up the phone and notified her parents or a law official. Approximately 90 percent of the alcohol consumed by youth under the age of 21 is in the form of binge drinking. Education is key to preventing unnecessary loss of life. For more information, register here.